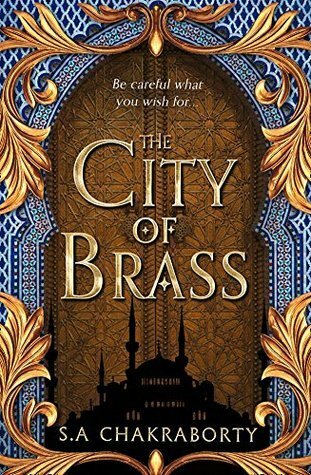 So, The City of Brass. It’s the story of a young girl who makes her living on the streets, grifting where she can, putting money away for an ambitious future she’s struggling to reach. It’s a story of djinn, those magical creatures at the edge of humanity’s vision, who perform startling deeds for both good and evil ends. It’s a story of giant birds, of fire and water, of hard-faced duels fought for love and honour. 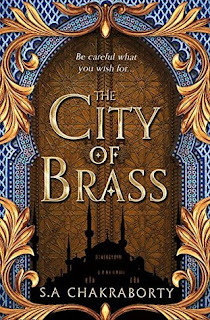 It begins in 18th century Cairo, and evokes that place and time wonderfully, cloaking its story in the myths and tales that float through that city’s air like smoke. We enter this world first through the city of Cairo – or at least partsof it. Not the especially nice parts, either. The slums are thriving places though, in their own way, with an energy and a buzz which leaps off the page. The divide between the rich and poor is here to be seen, as Ottoman rulers stride into darkened alleyways backed up by bands of bodyguards, and those they seek quail at the sight of them. It’s a baroque blend of absolute rule and poverty, mixed with a history of trade, resistance and revolution. As the protagonist cuts deals and navigates the narrow streets, the city comes alive – from the towering palaces, through the humble homes of workers and merchants, to the elaborate, decaying cemeteries gently smouldering in the midday sun. The rest of the world, as it unfolds during the story, is imagined equally vividly. There’s a sense of the mythic pervading the text which mixes well with a sense of history invoked by some of the characters. This is a world sitting on a solid foundation, and it builds on the myths and legends of the period to create something new, something with wit and sparkle, backed by a sense of honesty in the relationships between the characters. Which reminds me – the characters. Nahri, our protagonist, is a young woman treading on the poverty line on the streets of Cairo. Nahri is an absolute delight – smart, pragmatic, and unwilling to sacrifice her agency. Watching her play out a con game on her marks, her effortless charm backed with internal caution gave a marvellous perspective. Thrown headlong into a world of the fantastic and magical, she adapts well and swiftly. If out of her depth, she’s nonetheless effective, and determined – a thoroughly sympathetic, if occasionally amoral centrepiece for the text. In this she’s backed by a djinn with a past he’s keeping hidden – a warrior of superlative skill, scarred, enslaved and possibly broken by his experiences. The text gives a nuanced portrayal of a soul in pain, and of a person out of time, struggling to readjust their attitudes with contemporary mores. To be fair, he also hits things very hard with a sword, and occasional magical fire, so it’s not all emotional exploration. Then there’s a prince of this people, a member of the ruling class, wrapped in devotion, of a sort, but with a compassion at odds with the ruthlessness required of a ruling family. As a naïve younger son, with the intelligence and self-awareness to become something more, he’s a masterclass in characterisation, and in walking the delicate path between power and exile, evokes our sympathy along with some disquiet in the acceptance of social mores. The plot – well, it’s snappy, and diverse. There’s a heck of a lot of political intrigue, and shadowy actions. Mysterious antagonists hunting Nahri down, that sort of thing. Power struggles in palaces, and disruption of established society. Then there’s the history, stories of epic wars in the past, ancestral grudges going back through generations. Personal stories, as Nahri and her entourage try and work out what they value – their goals, each other, or some portion of both. The heart in it is extraordinary – the ties that bind the unlikely groups together, and their reactions to loss, sympathy, victory and sacrifice are likely to bring a tear to the eye. But don’t worry – there’s epic magic and duels aplenty as well – fast paced, kinetic struggles for life and limb, lit by the flames of the occasional fireball. 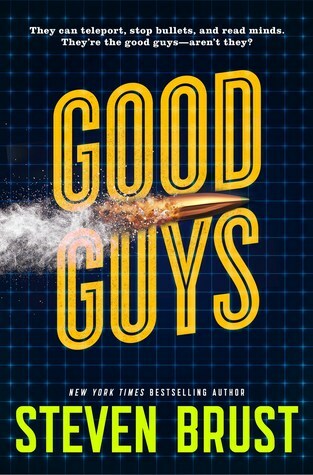 It’s breakneck stuff when the action threatens, laced with thoughtful, nuanced, vital portrayals of the characters which makes you are about them and the stakes – and keeps you turning every page. On that basis – well drawn characters, original, intriguing world, punchy plot – I’d say this one’s worth a try. 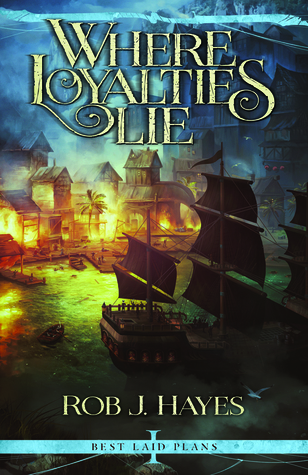 “Where Loyalties Lie” is the first in Rob J. Hayes’s ‘Best Laid Plans’ series of fantasy novels. It’s focused on the rise of a duo of pirates, in a world where divinities appear to be real, if distant, and magic is a known, if unusual, quantity. That said, this is a book about pirates. There are, just to clear this up, a lot of things happening out on open water. Some of those things are murder, looting and, well, basically piracy. The world evokes our own age of pirates, in a way – as independent captians slip in and out of an archipelago, preying on shipping, taking what they want and bloodily murdering (or not) the crews of the ships that they capture. Some of those pirates inspire terror – the cold, vicious Tanner Black rules the islands with an iron fist, and a tightly focused brutality. Others are flagrantly self-interested, but charismatic and successful enough to carry their people along with them, like Drake Morass. Morass also has other ambitions – to shape the pirate isles into something more: a kingdom. This is the age of pirates in decline, as national navies get organised, and start breaking the tide of criminality which saps trade. 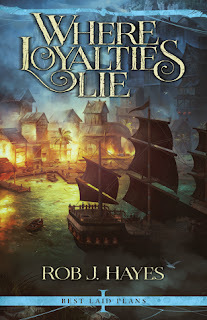 It’s a complicated time, to be sure – and one we’re given a close up view of here, as various pirate crews attempt to deal with their increasing irrelevance in the larger world, as well as the more personal concerns for treasure and independence. Morass is a good example. If not amoral, he’s still a man prepared to kill to achieve his goals.Quite what they are is a little amorphous, apart from the desire to take power over the pirate isles. Quite why he wants to do this, apart from for the sake of it, is a bit unclear. There are allusions to his longer term goals, and past events, and I suspect if I’d read the series prior to this one it might have been a bit clearer. On the other hand, Morass works just as he is. If his long term goals are nebulous, his methods are a fine line between compassionate and ruthless; he has an easy charm and charisma which leaps off the page, and a utilitarian view of people which leaves him feeling a little cold. In a similar vein, his penchant for trying to exercise his libido is entirely plausible from a narrative point of view, but leaves him with the equivalent of an oily sheen over his character. That said, Morass is surrounded by an ensemble cast whose unifying trait is their refusal to buy into his myth. There’s the female witchhunter, attached to Morass if not unwillingly, certainly begrudgingly. Watching her kick arse and meet his lumbering advances with a swift quip and (occasionally) a swift kick is an absolute delight. Frankly, I’d read a book with her as the main character quite happily. That she has a few semi-magical abilities of her own is icing on the cake – horrifying as they may be. Morass is backed up by others, of course – including more moral captains, struggling with their own desires. One of them is Keelin Stillwater, who seems determined to be as nice as you can whilst also taking other people’s ships and burning them to the waterline for a living. Both Morass and Stillwater are struggling with their own inner demons, and their entanglements with other parts of the buccaneering community. They’re both fast talking leaders of men, larger than life, with a weight that you can feel even when turning the page. I would like to have The naval warfare more of their emotional journeys, but I suppose that would have cut into the pirating, plotting, and general mayhem. Speaking of which, Hayes has really captured the essence of the buccaneering lifestyle. There’s a lot of complaints about grog, but there’s also some fast-paced, high impact battles, single combat and ship-to-ship. There is, to be honest, blood everywhere. Also treasure. But it’s wrapped around the personal stories of the characters, and those characters are, if not lovely people, certainly plausible in their pragmatism. This isn’t a story for heroes, but it is one of blood, gold, sailing ships, magic and cannon. If that sounds like something that would appeal, I’d suggest giving this one a shot. I’ll certainly be reading the sequel! 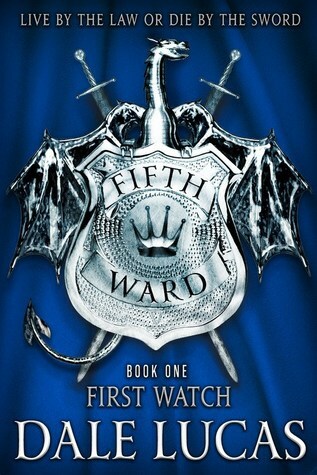 First Watch is the debut fantasy work by Dale Lucas. It’s set in a dilapidated, sharp-edged urban environment, populated by a plethora of species and cultures. It follows a pair of mismatched guardsmen as they investigate murder, mayhem and conspiracy in the city. If I had to draw an analogy, I’d say it evokes the same sort of mood as the action movies of the eighties – with smart mouthed, bickering cops, unapologetic violence, and shades of noir flickering in the city lights. The partnership between a rookie and a veteran guard is the beating heart of the text. Rem, the rookie, is a lapsed member of the nobility, quite, quite broke, and possibly a little too polite for a police force whose modus operandi is one short step above being a gang of legbreakers. Still, , he’s intelligent, and being new to the city, doesn’t carry the same preconceptions as some of his superiors, or some of the prejudices of his partner. Speaking of which – the other half of this dynamic duo is Torval. Torval’s a veteran – brusque, brutal, and with some rather unreconstructed opinions about Orcs. He’s a force of nature, to be sure, and set in his ways – an excellent counter to the more enthusiastic, more naïve Rem. Their conflicts, between ideals of what could be, and a more cynical acceptance of what currently is, define the text; as they work the case and grow closer thereby, the reader is drawn into the complex bounds of their unspoken discussions. In short, this relationship is a complex one, filled with hopes, broken promises, kept promises, large amounts of alcohol and, eventually, trust. It’s vivid, believable, and has resonance and depth which makes it entirely plausible. These two are wisecracking, slightly murderous, occasionally inept, well meaning, hard hearted po-lice, and a delight to read. Their city is one drawn on racial lines, where the authority of the Guard falls beneath the heel of separate authorities. The elves, the orcs, the dwarves, they all have their own leaders, and they dispense their own justice. It’s a dirty town, where agreements are made and souls bartered for handfuls of coin. Where two guardsmen trying to sole a murder can get bound up in a web of intrigue and blood as easily as blinking. The city has a certain toxic life to it, once where segregation struggles against an economy that needs diversity, where racial tensions are exacerbated by socioeconomic factors. I’d like to see more of the city, to plumb its heights and depths. What we have is enough to provide a backdrop for the players; it would be marvellous to have more detail. The plot is reminiscent of noir thrillers. There’s conspiracies, to be sure. Hidden agenda, from friends and enemies alike. The unspoken word is, in many cases, the most powerful one – and workig out what’s going on between the lines can be an exercise for the reader. Which is great – expecting the reader to pick up nuance, to follow along, to draw their own conclusions, false or otherwise, is marvellous. In between, there’s moments of genuine emotion, and a sense of friendship in between schemes and murder. It’s a buddy-cop movie with swords and sorcery, and a rather good one at that. I’d like to see more of the series as it matures, but this is an impressive debut; if the fusion of fantasy and mystery is of interest, then this is a book you’ll want to try out. 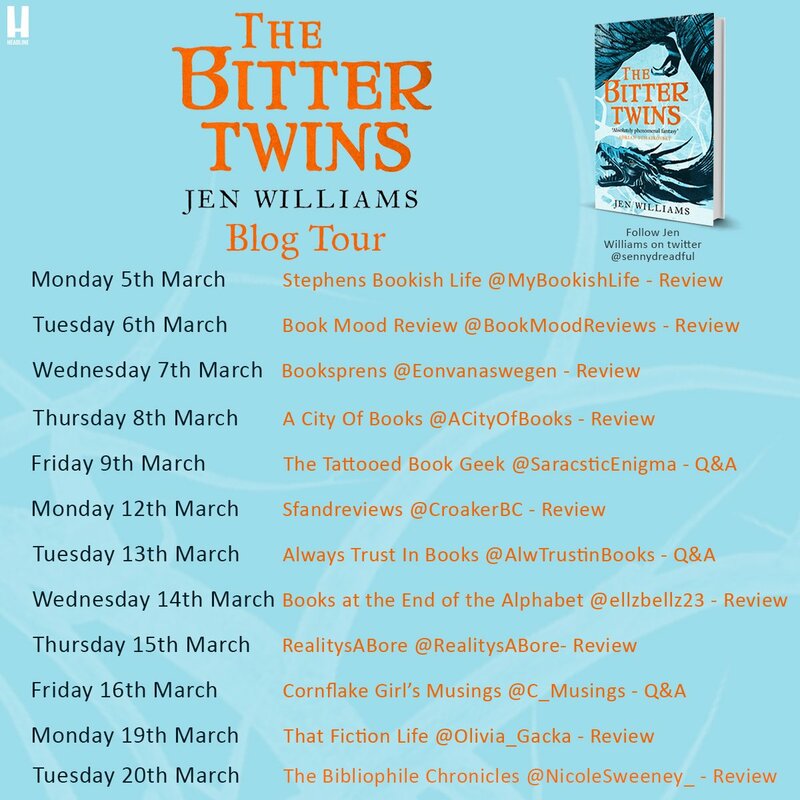 I'm delighted to say that we're part of the blog tour for the second in Jen William's "Winnowing Flame" trilogy. I've really enjoyed Jen's work over the years, so I'm absolutely delighted to say that this is another excellent addition to the series. The full review is below, but there's a lot more about the book coming from several other great blogs over the coming days, so make sure to check those out as well! The Bitter Twins is the second in Jen Williams’ “Winnowing Flame” trilogy. Its predecessor was one of the better works of fantasy I picked up last year, so I had hopes for this one. 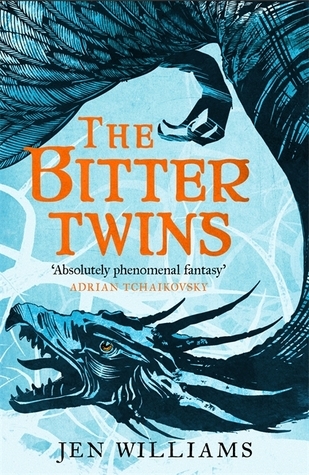 Fortunately, The Bitter Twins is a smart, emotionally charged and imaginative work, and a worthy follow up to the Ninth Rain. Full disclosure. 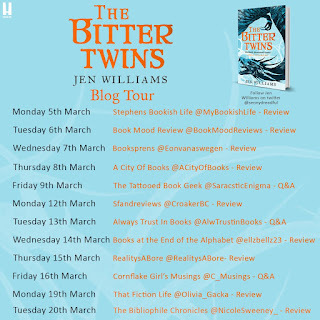 I really enjoyed The Bitter Twin, and I’ve spent a couple of weeks trying to work out what it was that resonated with me. Perhaps primarily, it’s because The Bitter Twins is a story about relationships. Between families. Between fragments of the same society. Between cultures. There’s all of these links tying people together, or breaking them apart, and that feels like a really strong theme in the narrative. For example, we spend more time with the Queen of the Jure’lia. The worm people. The enemy, those who have broken apart civilisations in their wake, whose desire to consume, to change, is near infinite. But the Queen is spending more time around people these days. Or at least around one person; Hestillion, one of the last of the Eborans, once the legendary defenders of the world against the Jure’lia, now a broken, dying people. Hestillion begins as a prisoner, of sorts. She is devastated by the current state of her people, and horrified to be present during the return of their greatest enemy, with no means to prevent utter destruction. But Hestillion is also a pragmatist, a hard-faced, ruthless woman, willing to do a lot to survive. In doing so, she bonds with the Queen, each a conduit into the alien mindset of the other. Hestillion discovering what drives the Jure’lia, and the Queen being somewhat humanised by her contact with Hestillion. I say somewhat, because the bridge between the two is vast; the Queen is wonderfully alien, a creature struggling to understand the ants which cry out as it raises its boot to crush them. Hestillion, by contrast, is fiery, damaged, cloaking pain in an agony of false confidence. It's a fabulous and tortured pairing, one which lets you have insight into the antagonist, even as they’re making your skin crawl. But the awkward bond between them may also be the first step in the road to peace. Then there’s families, made by blood and choice. Though Hestillion’s relationship with her brother, Tor, is a key part of their journey together, it was the bonds of friendship that I thought brought out some marvellous and evocative flashes of narrative. Tor is, of course part time assistant and full tiem troublemaker for Vintage, archaeologist, derring-do-er and smartarse. But the way they interact is more common to siblings – an exasperated warmth that you can feel radiating off the page, regardless of their cultural differences. Sure, one is a semi-immortal blood drinker, and one is a cranky Indiana Jones in late middle age, but they care for each other, and that care shows. Tor, of course, is also intrinsically linked to Noon, the Fell-witch. She’s human, and therefore an excellent venue for both Tor’s charms and his occasional need for ichor. But she can also cause things to spontaneously combust. With her mind. I have a lot of time for the portrayal of Noon; she’s a woman who has come out of a hellish situation, fought her way clear, and is dealing with it – whilst also saving the world, and occasionally flirting with a blood-drinking immortal. Noon is alright. Vintage, of course, remains Vintage – the only person in the main cast with any idea what’s going on. That is, of course, a rather strong presumption. Still, whilst Tor and Noon are squabbling like teenagers - she setting him on fire, him stabbing him, etc. – Vintage is the voice of exasperated reason. She is also, of course, the voice of youth, of a sort. The difficulty comes where Vintage is in a relationship – with a person older than hr, more experienced, more cynical, perhaps – but also physically, visibly younger. Vintage struggles with the conflict between hr earlier, juvenile memories of a relationship which shaped her life, and the more cynically exhausted expectations of her current age – and it rings true; the ache of remembered adolescent infatuation against the wisdom of age. Anyway, the question you’re asking is: Is it any good? Yes. Yes it is. There’s a whole investigative adventure plot I haven’t touched on for spoiler reasons. Vintage and the beasts of war get to dig into the truth behind the Eborans, past and future. It’s a melancholy exploration of a people whoappear to have lost their purpose along with their strength – and also a great adventure of mystery, discovery, Poirot-esque exclamations and more than a little blood. The plumbing of the mysteries has a suitably creepy atmosphere, one which keeps the pages turning – and the final result is, to put it mildly, a revelation. Alongside this plot of secrets, lies and webs of deceit, there’s also one of dragons, heroics, and, dare I say it, love. It’s complicated and simple all at once – people realising who they are, engaging their affections, and occasionally trying to save the world. It’s heartfelt, inclusive, charming fantasy, backed by explosions, dragon-fire, and the warming, wrenching, entirely plausible emotions of the protagonists. In the end, is this something you want to read? If you’re looking for a sequel to The Ninth Rain, yes, absolutely. If you’re looking for a story not afraid to expose human frailty and emotional honesty in the search for truth, absolutely. If you want mystery and ancient crimes as a backdrop, absolutely. If the idea of flying war-beasts and the end of the world interests you, absolutely. If you have, in the past, read a book, absolutely. The Ninth Rain was a top pick from last year, and this is a worthy successor; read the original, then follow it up with this – because it’s awesome. 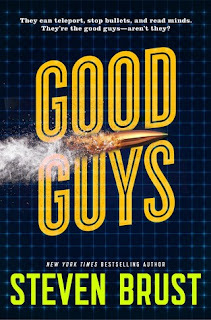 Good Guys is a new urban fantasy novel from Steven Brust. Brust is the author of the long running Jhereg fantasy series. Urban fantasy is, thus, a slight departure for him, but I’m happy to report that it’ a rather fun read, and one which is willing and able to explore the ethical and moral dimensions of what are, in effect, magical powers. The world is one familiar to any of us. Late-stage capitalism rules the roost. It’s our world, fast cars, skyscrapers and all. Except a few people in that world can do magic. Teleportation. Shielding from bullets. Precognition. Piecing together patterns from loose threads. These people are split into ideological camps. There are those who are prepared to use their skills to make money in less than ethical ways, and those who refuse to do so. A détente exists between the two ideologies, and both are broadly more concerned with cleaning up the mess of accidental or untrained magic use than with fighting each other. That said, the camp of our protagonists feels more like an underfunded bureaucracy than a secret world of wizards. Everyone’s working for minimum wage, and there are expense claims to be put in after interdimensional travel. No-one has the time to do the job as well as they’d wish, and the group doesn’t have the funds to do as much as it would like to. For a secret organisation of magic users, its institutional underpinnings are delightfully mundane. The griping about claiming mileage after a magical duel, or filling out forms in triplicate to justify magical artefact use work to accentuate the strangeness of magical abilities, whilst grounding them in the modern world. Our protagonist, Donovan, is a fixer, working for the Foundation, one of the “Good guys”. Along with his team, he investigates unauthorised or dangerous uses of magic. This time, though, they’re investigating a murder. Donovan is focused, perhaps a little curt, and trying very hard to remain a professional. His team consists of Susan, an athlete with a penchant for martial arts, and Marci, whose lack of experience is more than made up for by her enthusiasm. They’re a tight knit group, with a closeness born of horrific circumstance and their own unique powers. They’re backed by a diverse and convincing ensemble cast – from the tightly focused researcher down to the broke-but-thoughtful mercenary. There’s some deeply eerie people on display here too, and, given the title, some antagonists who, perhaps, don’t entirely see themselves as bad people. This is a book prepared to believe that everyone is the hero of their own story, and unflinchingly explores that moral vein. The plot is one part murder mystery, one part buddy-cop movie, and one part supernatural magical explosions. The investigation is tense, and the leads, blinds and red herrings the group goes down are plausible, whilst the eventual denouement carries a degree of catharsis. There’s a thoughtful exploration of our heroes moral basis for what they do – tracking down rogue magic users and, euphemistically, dealing with them. In between the investigating and the hard thinking, there’s the occasional shootout, there’s time stops, and people spontaneously catch fire. This is a book which embraces and dives deep into the question of rightful force, and into the ambiguity of a team which does what it thinks is right, at personal cost and at a cost to those they interact with. Above all though, it’s fun. This is a text which challenges preconceptions, and makes you think – and then blows up the building. Where interrogations are largely polite, but when deaths do occur, they’re appalling. The tightly focused mystery is what kept me turning the pages, and the top-notch characterisation gave me the emotional stakes to make the story feel real. As an entry in urban, contemporary fantasy, this is an intelligent work, which challenges genre preconceptions and those of the reader, but also isn’t afraid to have fun. Gie it a try, you won’t regret it.